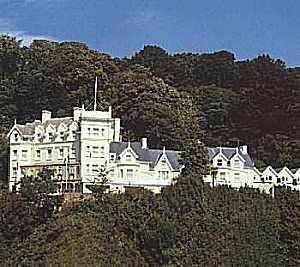 We have hired grand sophistication, quality and Victorian elegance to bring you a personally pampered event held at the Fishguard Bay Hotel with every convenience – all set in sub-tropical gardens with magnificent views and walks amidst 160 miles of outstanding and unspoilt coastal and countryside which makes up the unspoilt Pembrokeshire National Park. As always, we intend bringing you the best value for money each year – the best venue (which you will grow to love as much as we do) – the best workshop leaders (all experienced professionals), the very best choice of workshops all wrapped up in a superb, small, friendly and intimate event you’ll love from the time you arrive in Fishguard until the sorry day that you have to leave. You can bring your partners for a leisurely weekend where they can enjoy the unspoilt walks – or just relax and soak up the ambient atmosphere that Pembrokeshire instils in its guests. There’s nothing extra to pay – we’ll even collect you from Fishguard and Goodwick stations and return you there at the close of the event on Sunday afternoon. We’ll provide a choice of luxury single, double, or twin roomed, all en-suite accommodation (even taking the trouble to guarantee that you’ll have a room next to your friends), and excellent full board plus (vegetarian choices) hospitality for the duration of your stay with us. Fully inclusive, the only extra expense will be in the bar during the weekend, or if you wish to purchase a book or souvenir from the Book Room. All tutors are invited to join us by recommendation only. They have been selected for their unique ability to join in the informality that represents the most important aspect of all WRITERS’ HOLIDAY events. The tutors will change each year but, the standard will not. Delegates stay in beautiful en-suite accommodation – and everything takes place within the hotel. The food is excellent, and the company is even better. Throughout the day on Saturday and through until lunch on Sunday the weekend is crammed with a total of six workshop sessions. Guests are encouraged to inform the workshop leader of their weekend requirements and what they wish to achieve.